The Boosters are working on enabling openSUSE contributors to reach their goals. This can involve technical diving, an artistic vision (not required, obviously, or I woulnd't be in the team ;-)), marketing fun, talking at events, discussing issues, etc. : all skills are welcome in our team, as all skills are welcome and needed in the community! It's really an amazing job where you're simply part of the community and your goal is to help the community move in the right direction. On top of that, I have to mention that the Boosters team is full of great minds, and we're enjoying every day working on something we love! Are you interested? Check out the details and apply! You can also check the other open positions at SUSE, there might be the one you're looking for... ­Oh, and as we keep hiring, remember to check out the careers page every now and then to see the latest openings! It might be a nice team, but judging by the tone of this post they brainwash new recruits there at SUSE. And btw, real rock stars take drugs, play with ladies and slack off all day if they're not on a tour. 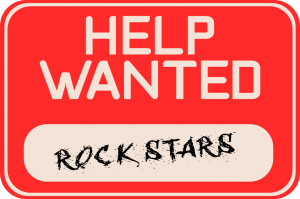 It seems you're not aware that the term "rockstars" is often used in free software communities: a rockstar is simply someone who "rocks", or if you prefer, who does many useful tasks in the community. As for your "brainwash" comment: up to you to believe that... Maybe you get this feeling because I really enjoy my job? That is totally non-nerdy and Dr. Sheldon Cooper wouldn't approve.